Come early and stake out your spot along 50 Street so you can take in the dozens of beautiful floats, bands and exhibits that make up the Black Gold Parade! 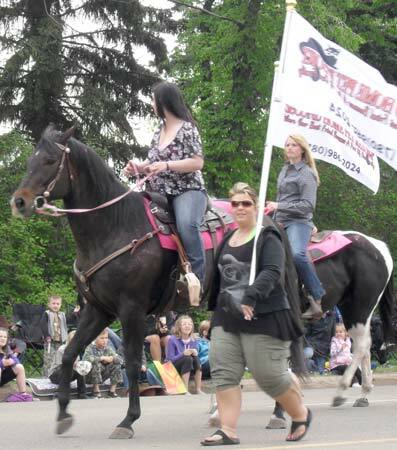 Starting Rodeo Saturday at 10 a.m., the parade makes it's way along 50 Street, from 65 Avenue to Black Gold Drive. * The entry form will not be accepted unless the General Liability & Property Insurance Information is completed. All entry forms must be submitted by 4:30 p.m. on May 25th! Download the Parade Float Entry PDF form here.